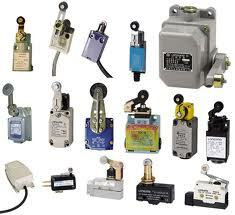 Along with supplying a set of industrial lightings, we also deal in a huge gamut of precisely designed limit switches. Available in sturdy and sophisticated designs, these switches are widely used in lifts, machines and other similar applications. Our durable and heavy-duty limit switches are offered in different types such as micro limits switch, mili limit switch, standard limit switches and many more.